This is a partial renovation and new addition to a heritage listed villa of Edwardian Pedigree. The existing house has been renovated throughout under the builder’s supervision, with the new kitchen and living area at the rear being the main focus of this project. The innovative use of steel required for the zigzag skylight, roof support and edge of the roof/wall detail, is impressive. 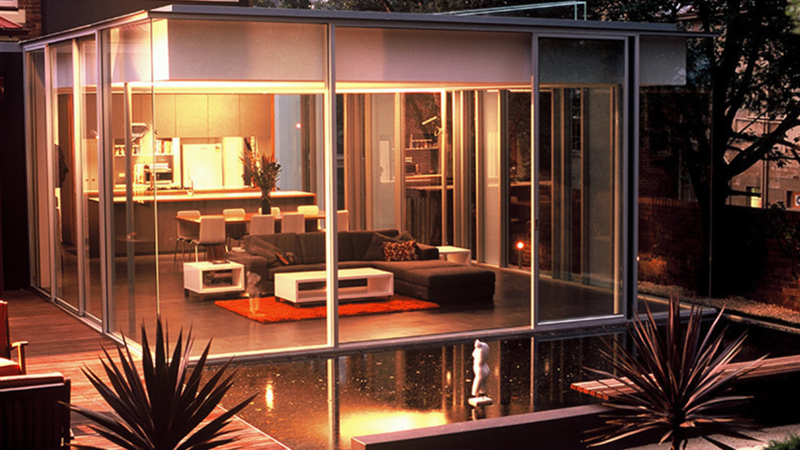 The simplicity of the rectilinear plan in combination with extensive glazing allows a seamless connection with the garden. Clear and translucent windows intersperse glimpses of verdant colour with a play of shadows to index daily and seasonal change. The experience of this garden room is elevated to the sublime with the dramatic zigzag skylight that parts the ceiling to reveal the sky. The northeast skin alternates between translucent and clear glass, providing selected privacy and is animated by shadow-play in the mornings. Detail is extremely skilful and with occasional reference to traditional aspects of the existing house. Although of a modest scale with project achieves an exceptional poetry and command of space. 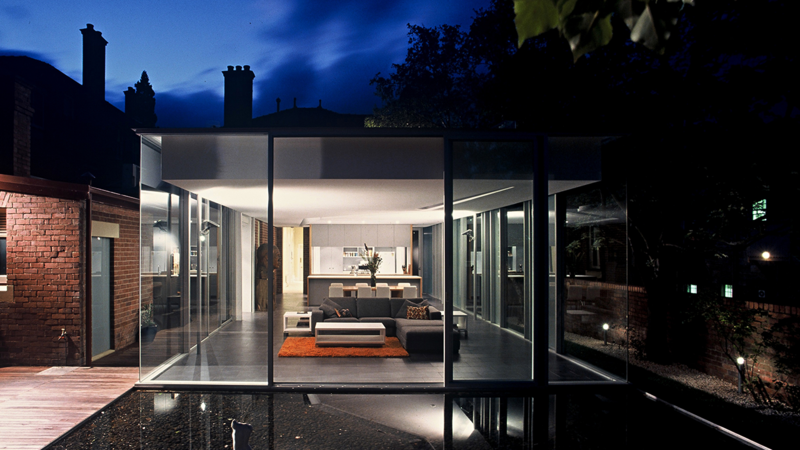 This project won the Tasmanian Royal Australian Institute of Architects, “Residential Alterations Additions Award”.